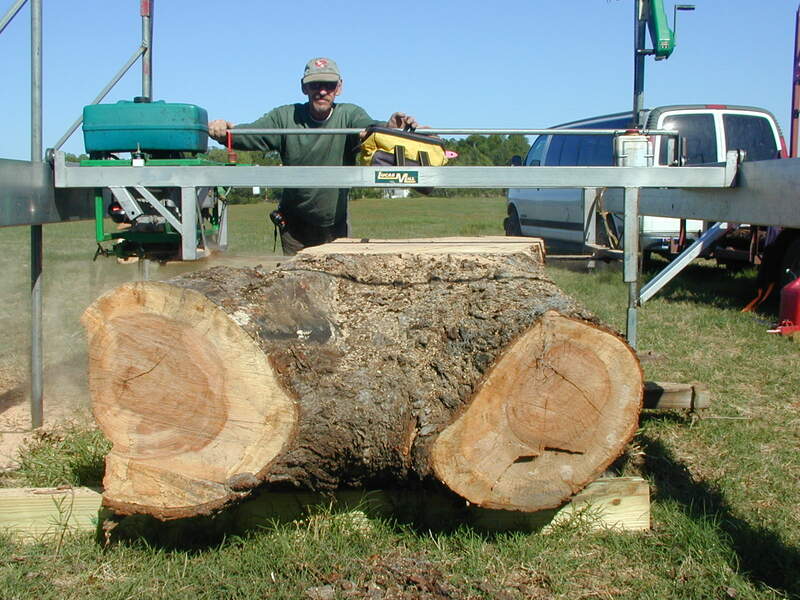 In mid 2008, longtime friends Lori Frazee and Paula Nicks joined forces to purchase a saw mill from a friend whose business interests had changed. 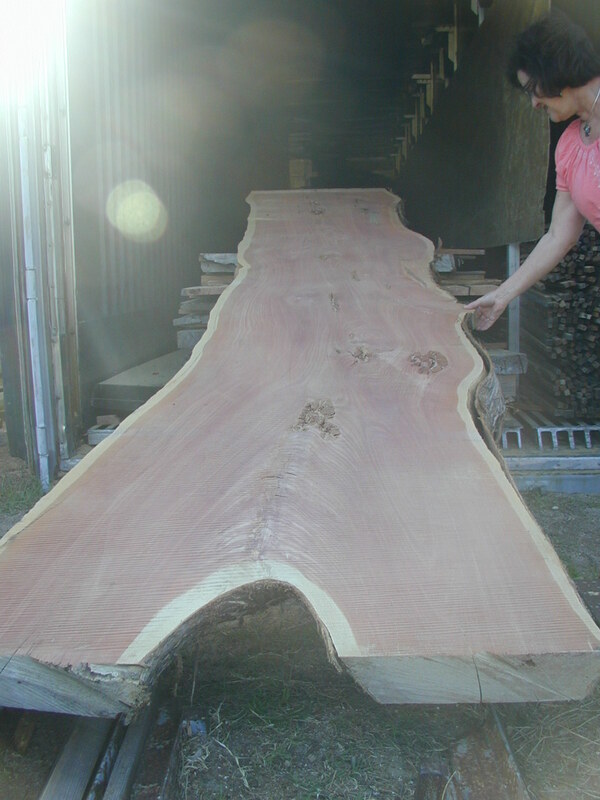 Lori and Paula are both woodturners and saw the mill as a unique opportunity. 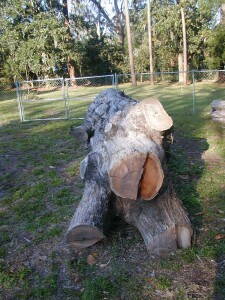 Through mutual friends, they had access to a lot of local Florida trees. 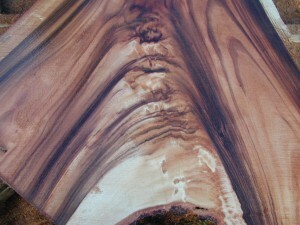 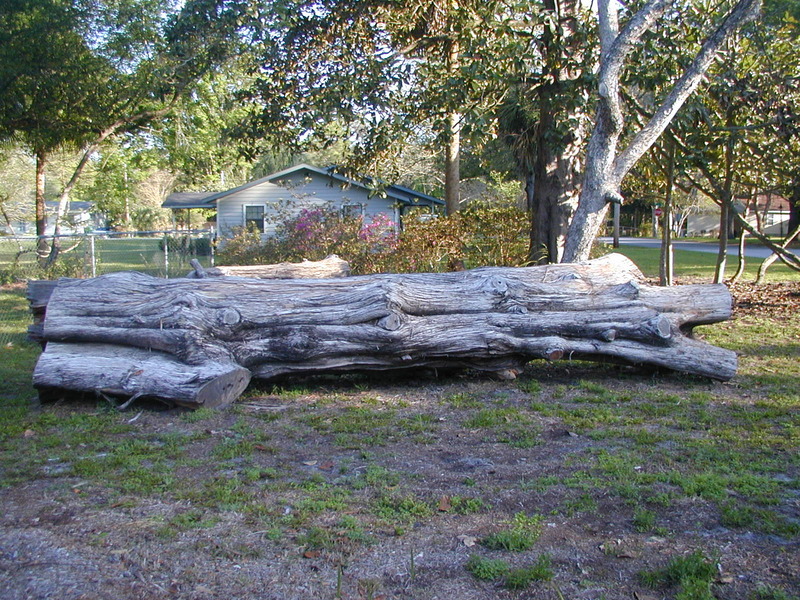 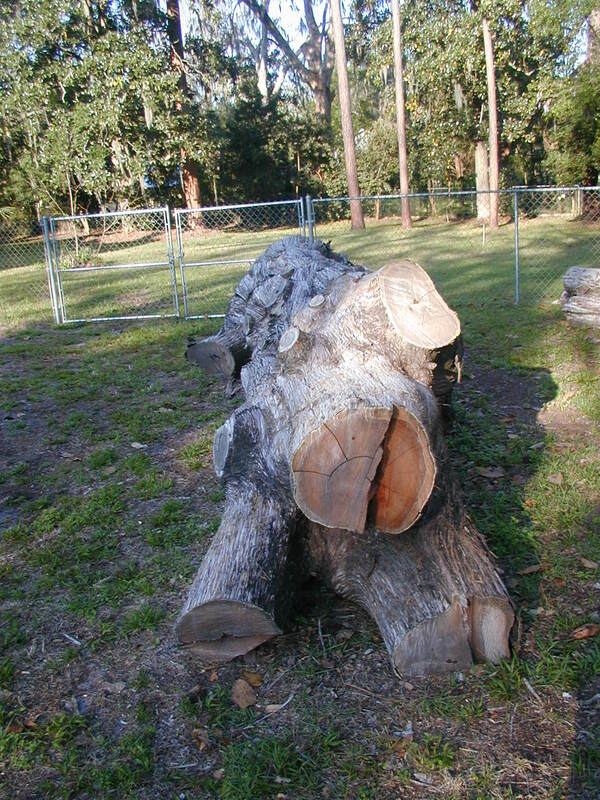 A large portion of the wood available was in crotch form, thus the name Florida Crotch Wood. 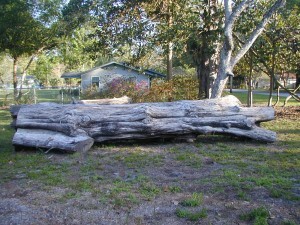 In January of 2009, Florida Crotch Wood became a legal entity, Florida Crotch Wood, Inc. In the beginning our main focus was to supply our woodturning community with turning blanks. 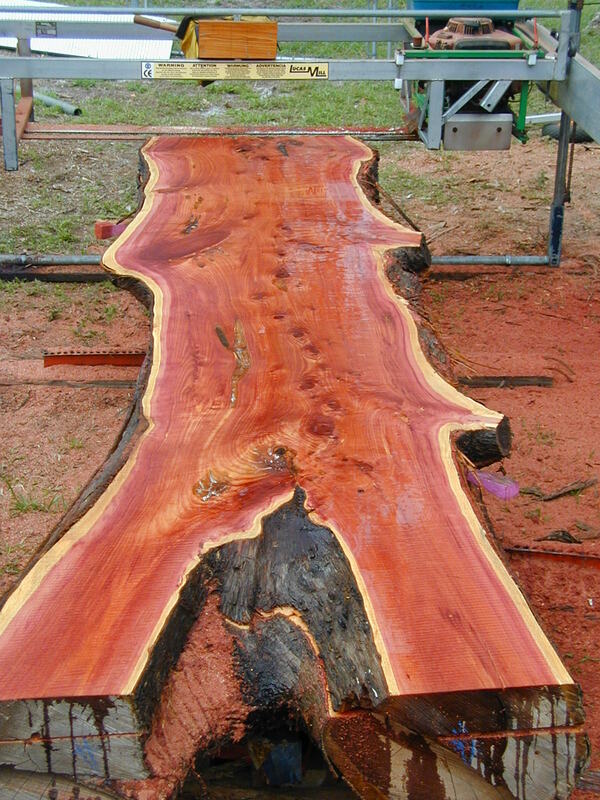 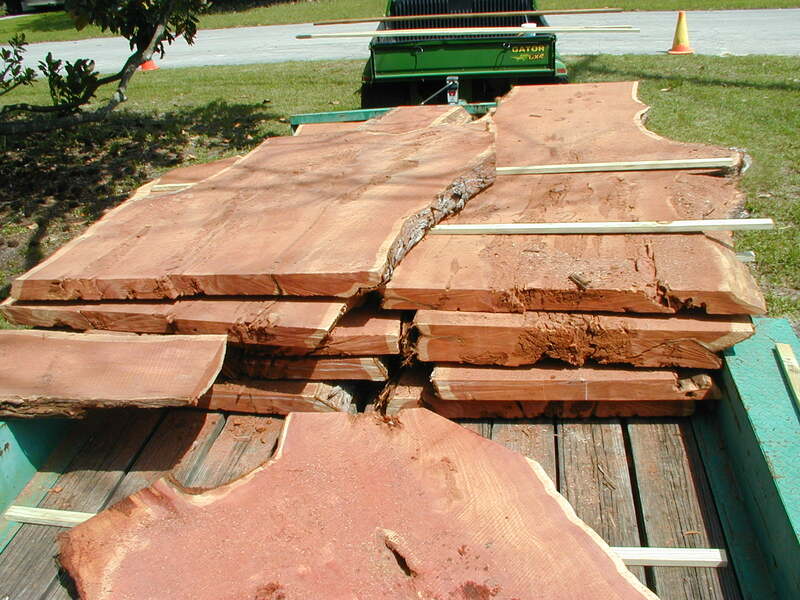 As our cutting experience grew, our Mobile Cutting business expanded and has now become a major focus of Florida Crotchwood. 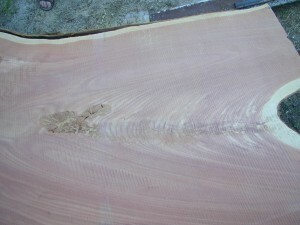 The ability to cut 60 inch wide slabs has created a niche market that the smaller band mills can’t service. 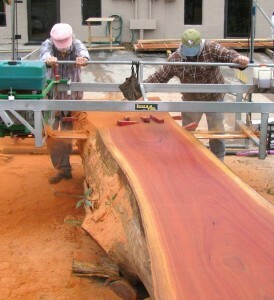 Our Lucas Dedicated Slabber allows us to cut the really big trees. Our woodturning background has taught us the importance of lining up the 3 piths to maximize the beautiful grain found only in the crotch of the tree. 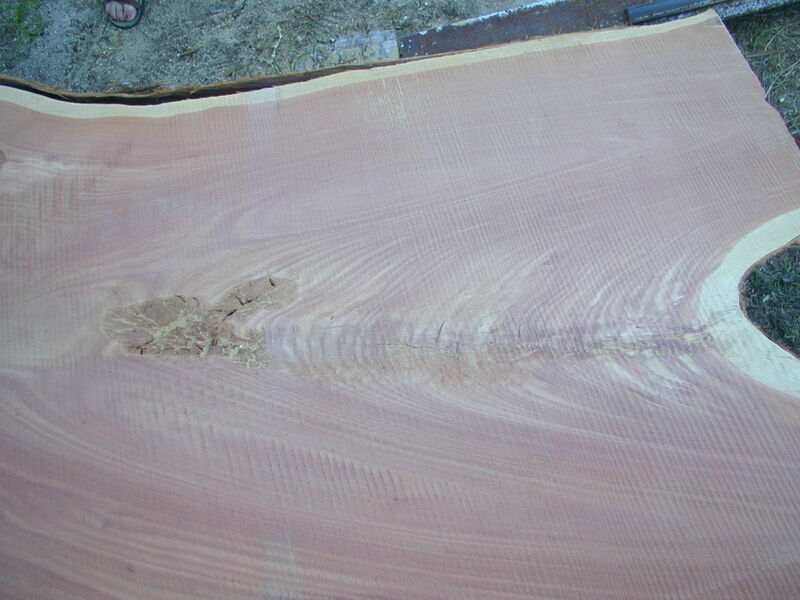 Please remember we cut slabs, not boards. 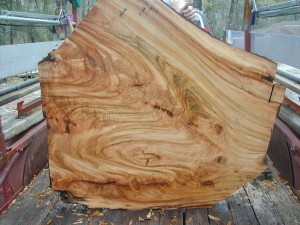 If you are looking for boards we can put you in contact with a sawyer who can fulfill your needs. 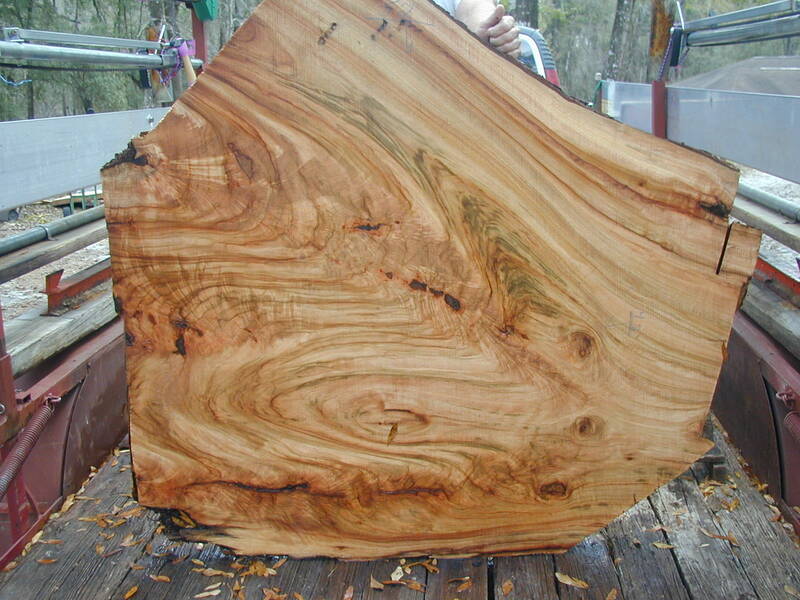 If you’re looking for table or counter stock ~ that’s what we do. 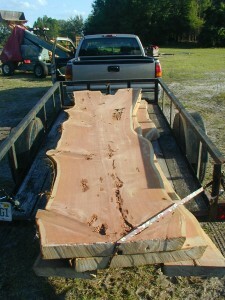 First eucalyptus cut with Viable Lumber. 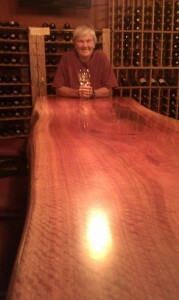 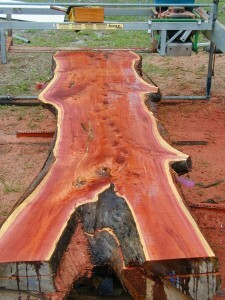 The slab later became a bar top for Wine Madonna (St. Petersburg, FL). 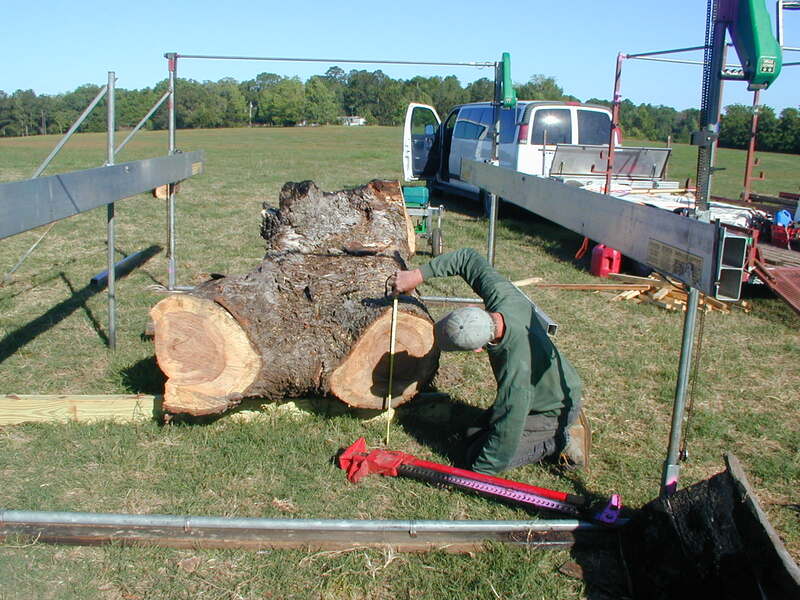 We are very involved with urban recycling (cutting yard and streetscape trees). We cut for people and companies who hate waste and see the beauty and value in their own trees.